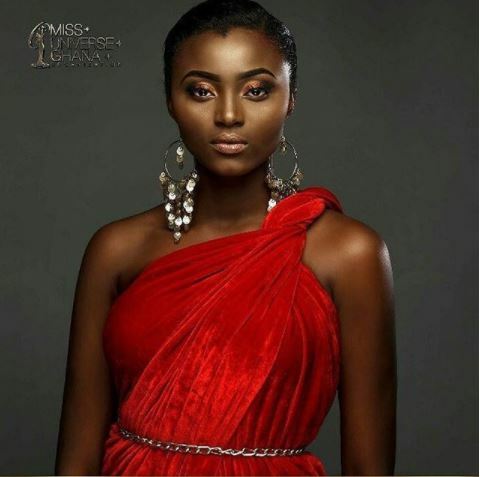 Ghana’s Representative at this year’s Miss Universe Beauty Pageant Ruth Quarshie etched her name and country as part of the first sixteen beautiful ladies in the world. The 23-year old graduate of the University of Ghana Business School Ruth was part of the sixteen semi-finalists in the pageant after three days of preliminary interviews along with a swimsuit and evening gown presentation which was held at the planet Hollywood in Las Vegas last night. As miss world Ghana, Ruth has a one year modeling contract with an Italian modeling agency and hopefully some more to come. Meanwhile, 22 year old Miss South Africa Demi-Leigh Neil-Peters was crowned 2017 Miss Universe Pageant with Miss Columbia Laura Gonzalez and Miss Jamaica Davina Bennett coming first and second runner ups respectively. Demi-Leigh Neil-Peters takes home a year-long salary as Miss Universe, Luxury accommodations in a New York City apartment for the duration of her reign, including living expenses, a modeling portfolio by leading fashion photographers, dermatology and skincare services, a professional health and nutrition consultation, dental services among others.